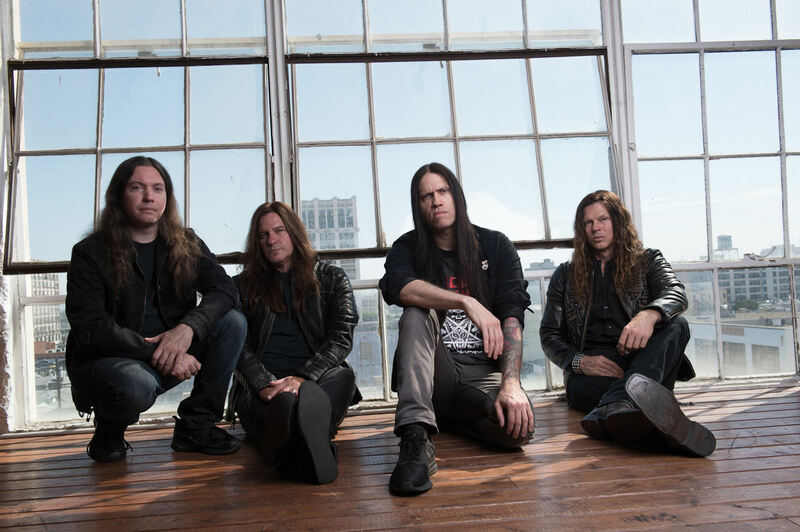 hen drummer Shawn Drover and guitarist Chris Broderick made their sudden departure from Megadeth in 2014, many thought they might have lost their minds, yet the duo knew exactly what they were doing. From that fateful decision, Act of Defiance was born. The two busied themselves with writing the music that would become their appropriately titled debut release, Birth and the Burial. In former Scar the Martyrs vocalist Henry Derek they found the perfect voice for the band, and Shadows Fall guitarist Matt Bachand joined as bassist to flesh out the line-up. Two years after its successful debut release, Act of Defiance is ready to unleash its sophomore album, Old Scars, New Wounds, and Metal Nation caught up with Drover to chat about the record, and much more. Shawn immediately noted his frustration about the difficulties of having the album done, but not being able to hit the road to bring it to the fans right away. Still the downtime gives Drover an opportunity to enjoy his other great passion which is golf. While one would expect that the golf course is where the drummer might find his Zen state, it turns out his true Zen is behind the kit. Due to the timing and speed with which the debut album occurred, Drover and Broderick wrote the record, but with Old, Scars, New Wounds Derek and Bachand had an opportunity to dive into the creative process as well. You can check out the full interview with Shawn Drover below as well as the videos for “Overexposure” and “M.I.A”.